A new committee for 2019 is currently being formed! Watch this space for further details. Lots planned already! What a great day was had by one and all!!! £5700 was the take on the day! Great effort by the committee and all the villagers who helped to make it such a success. 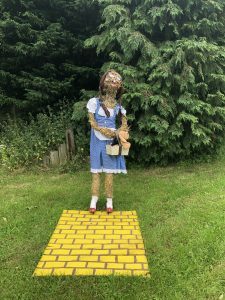 The winning scarecrow for 2018! Dorothy from the Wizard of Oz.